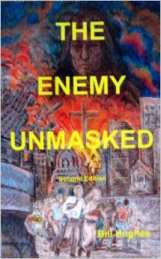 Enemy Unmasked, by Bill Hughes 151 pages. 6.5"X 4"
A companion book to Secret Terrorists, Bill unmasks who the enemy is, who they used in history, and who is aiding them today. 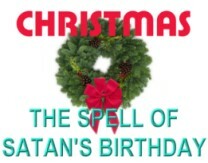 The death grip is about to be applied, as the times of the Gentiles comes to an end. The enemy has leveraged and consolidated power over all the nations since government first began at Babel, and the New World Order is the culmination of that effort.